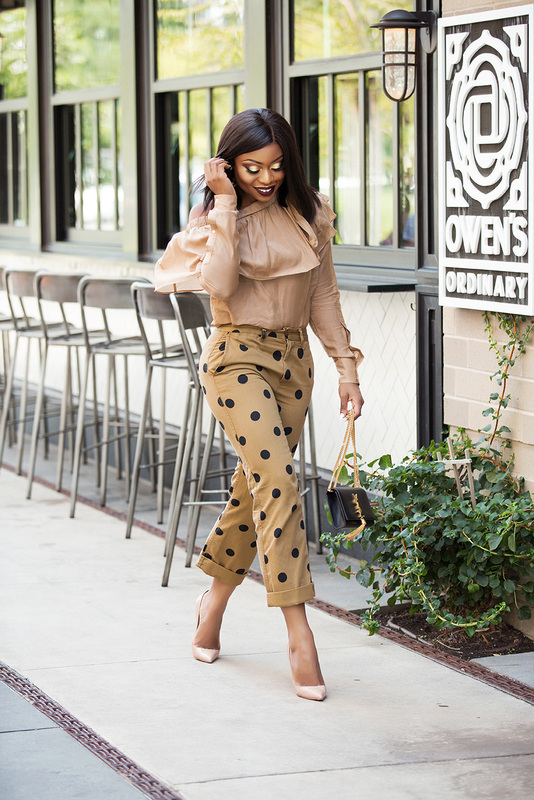 Restyling this boyfriend polka dot chino pants today with a neutral top. The off shoulder ruffle top adds a fun twist to the look without taking away from the polka pants. I love the muted tones and how the top and pants complement each other. I previously styled the pants here with white tee and trench coat for a casual fall look. 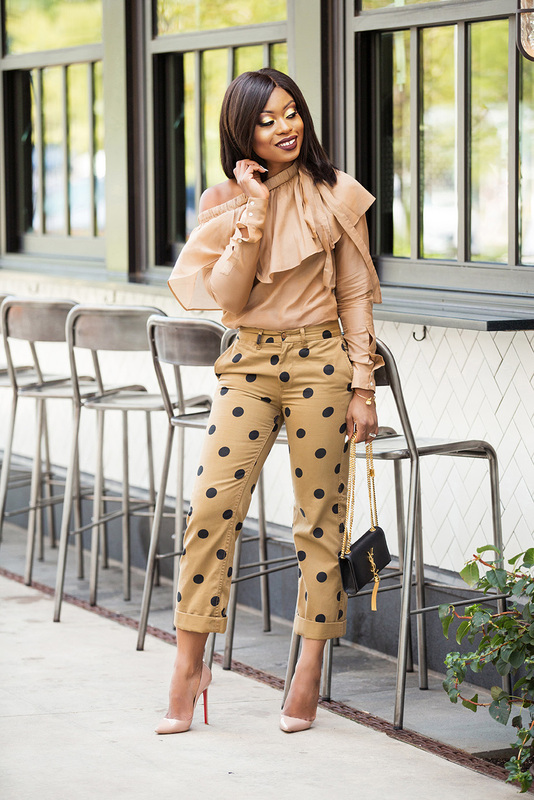 The polka dot pants are perfect on you!